Designed for the ultimate in style comfort and construction this chair has contoured black cushions and other ergonomic features that make it an outstanding value. 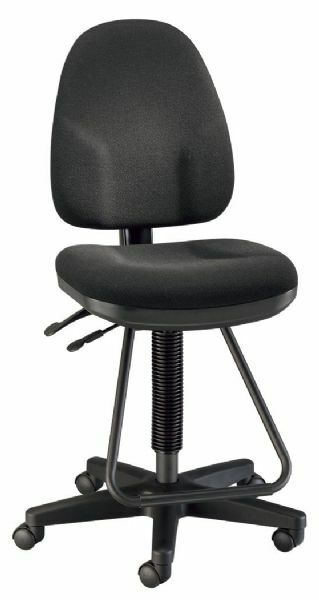 * Features include pneumatic height control polypropylene seat and back shells a height- and depth-adjustable backrest with tilt-angle control adjustable seat pitch built-in steel teardrop footrest dual-wheel casters and a 24" diameter steel reinforced nylon base. * Seat cushion is 19"w x 18"d x 3" thick with waterfall front.